New Zealand's Most 'Sea Worthy' Shanty Group™ have been belting out traditional sea songs from Aotearoa, France, Spain, the UK and more, since 2012. 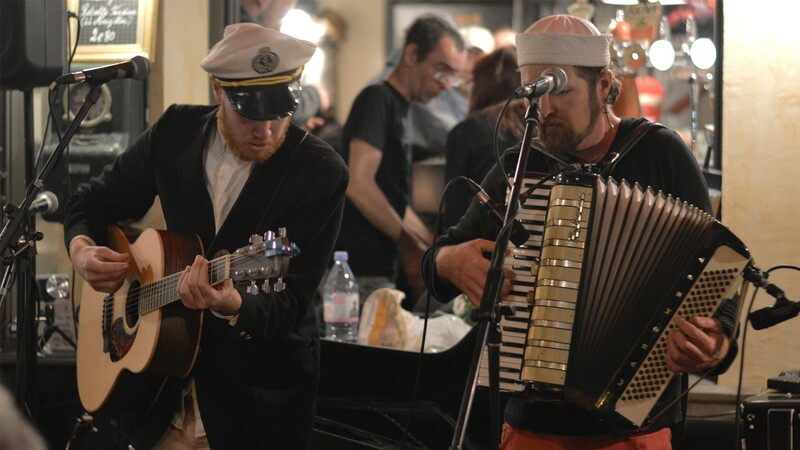 Sailors and landlubbers from across the country have been battered by the rousing chorus of this two-man tempest of pure shanty. The W.S.S.S comprise Vorn Dont le Père Etait Marin, from the indie pop band Vorn, and Lake Davineer, from the electro pop band Lake South. Vorn is on squeeze box duties, while Lake strums the git-fiddle. Rousing harmonies and raucous foot-stomping abound!